When it comes to something as important and precious as vision, experience makes all the difference in the world. Dr. Dixon Golden has been serving the East Texas area for over 40 years. He is trained in the latest ocular diagnostic and treatment techniques. He is a Therapeutic Optometrist and an Optometric Glaucoma Specialist. 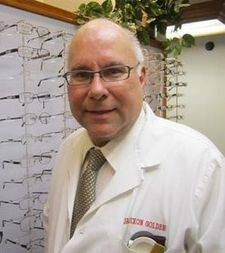 In addition to providing eye care services at Nacogdoches Texas State Optical, he has lectured extensively to professional organizations. He is an adjunct associate professor at the University of Houston College of Optometry. Dr. Golden has been married to his wife, Melody, for over 30 years and they have 3 children and 2 grandson. Dr. Golden is also a deacon for the First Baptist Church of Center.